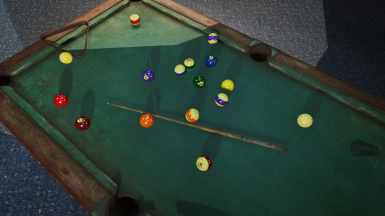 Replaces the weird default easter eggs with pool balls as they appear in the real world. You may have noticed that the vanilla pool balls look like spherical easter eggs, completely unlike any real life version ever. This mod fixes that small problem and increases your immersion per second by 5%, especially in Cabot House. 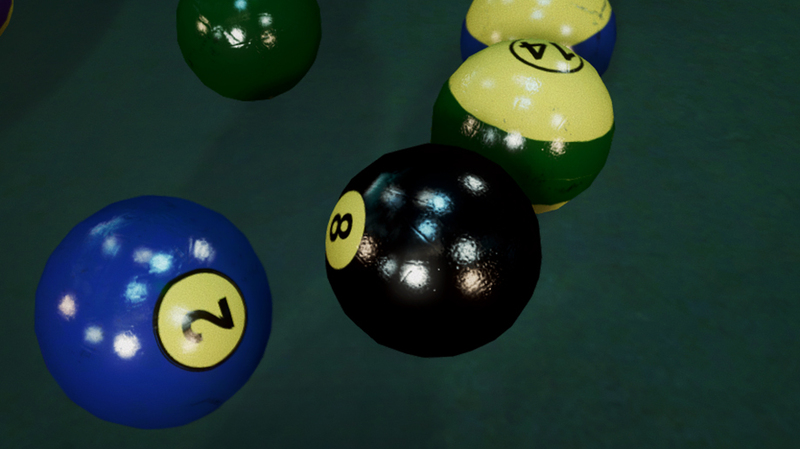 Custom normal and specular maps are included. 1.1 fixes the bright yellow on the 1 and 9 and adds a couple of missing spec & normal maps. They're more yellowed and cracked than the vanilla, but less dirty, and smoother aside from the cracks. Sadly I couldn't put the number on the stripe like the most common style - the weird geometry prevents this. It's still much closer to what you would see in the 1950's. 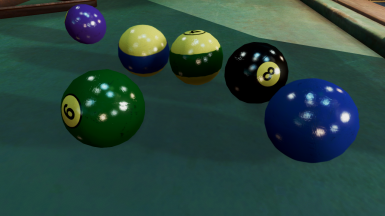 all share normal and specular maps there shouldn't really be any impact, but I can make vanilla sizes upon request. Do check out my Pool Table HD mod too.